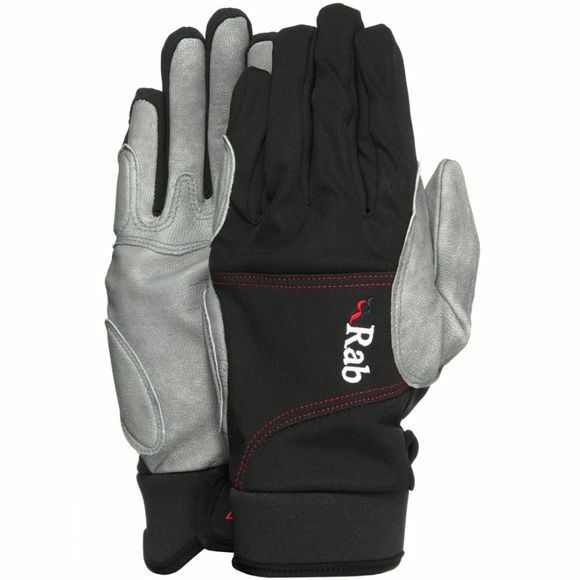 The M14 Glove from Rab is a lightweight, durable glove that boasts excellent grip thanks to the Pittards leather palm and reinforcements. The Polartec Power Shield fabric is able to block upto 98% of the wind making sure your fingers don't get numb half way through a climb and a durable water repellent finish helps to keep moisture on the outside. The slim fitting cut of the glove helps you maintain great dexterity and sensitivity in your hands making this a great option for dry tooling and mixed climbing routes.